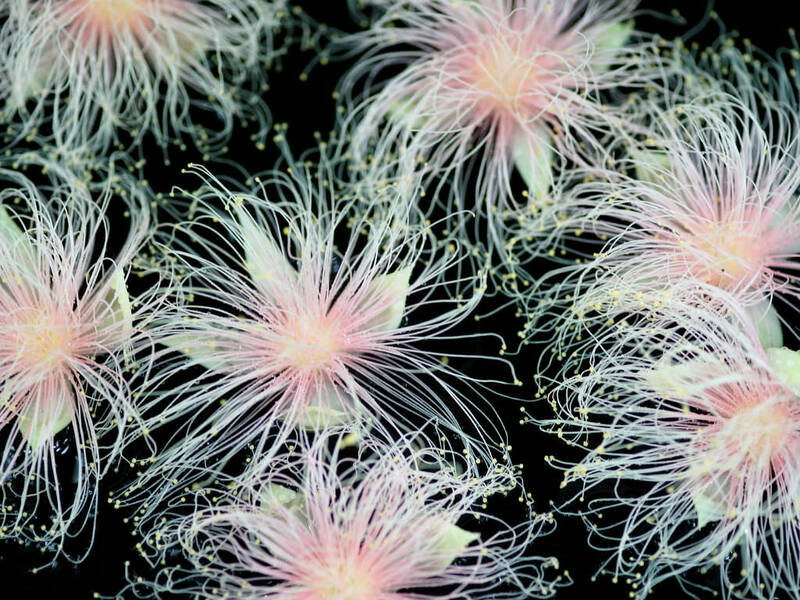 Barringtonia racemosa has a straight, unbranched stem that leads to a rounded crown and is usually up to 26 feet (8 m tall), but occasionally reaches 50 feet (15 m). The bark is greyish brown to pink with white blotches and raised dots and lines. The branches are marked with leaf scars. 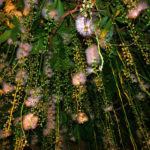 The leaves are alternate and carried in clusters at the ends of branches, up to 12.6 inches (32 cm) long and up to 6 inches (15 cm) wide, with petioles up to 0.5 inch (1.2 cm) long. The midribs are prominent on the lower side of the leaf and the branching veins are visible on both sides. 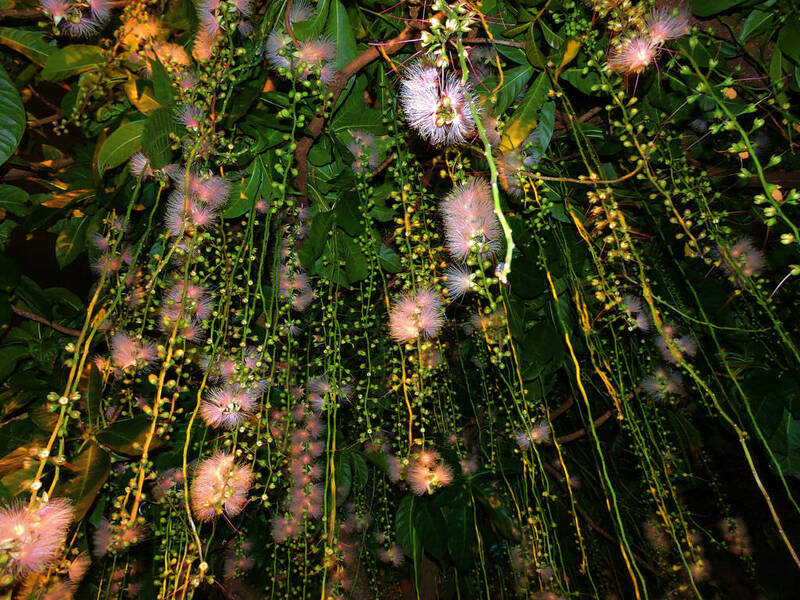 The flowers are produced on hanging racemes up to 3.3 feet (1 m) long. 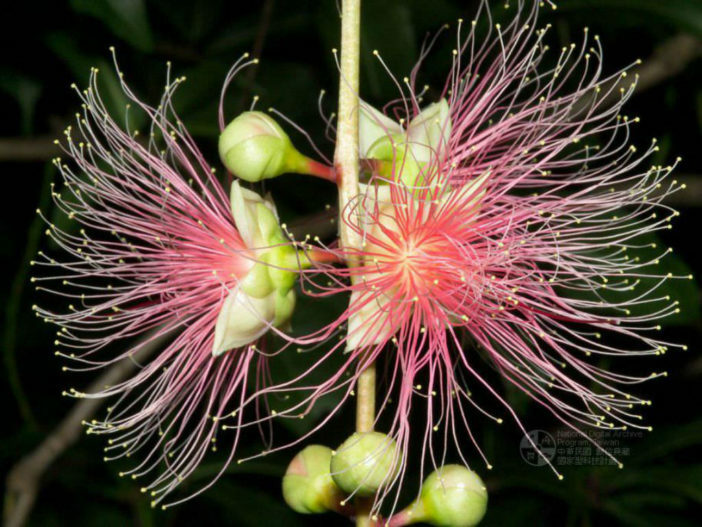 The buds are pinkish red and split open to bring forth masses of delicate stamens in white sprays up to 1.4 inches (3.5 cm) wide, which are often tinged with pink. Grows naturally in moderately humid to humid tropical coastal climates, generally in areas with annual lows of 68 to 77 °F (20 to 25 °C), annual highs of 81 to 93 °F (27 to 34 °C), annual rainfall of 1000 to 4000 mm and a dry season of 6 months or less. 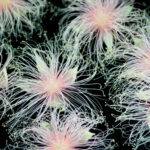 Sea Poison Tree grows best in a fertile, humid, well-drained soil. Prefers a position in full sun or light shade. Established plants are fairly drought tolerant and very tolerant of saline conditions and salt laden winds. They thrive in the wild where their roots dabbling in the brackish waters of lagoons, inlets, estuaries and seasonally flooded coastal regions. New plants are usually grown from seed. It performs best on free draining sand and loam soils of a slightly acid to alkaline nature, generally with a pH of 6.0 to 8.5 and on sites with full sun exposure. 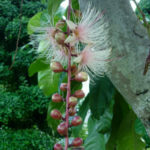 It has good tolerance to salt, wind, tidal flooding and coral derived limestone soils... – See more at: How to Grow and Care for a Sea Poison Tree (Barringtonia asiatica). 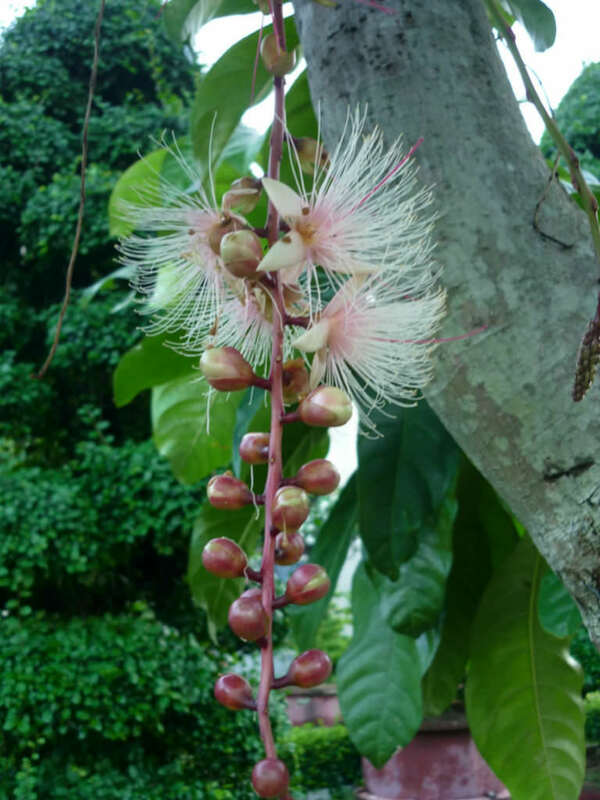 It is found in coastal swamp forests and on the edges of estuaries in the Indian Ocean, starting at the east coast of Mozambique and KwaZulu-Natal (South Africa) to Madagascar, India, Sri Lanka, Malaysia, Thailand, Laos, southern China, northern Australia, coastal Taiwan, the Ryukyu Islands and many Polynesian islands.